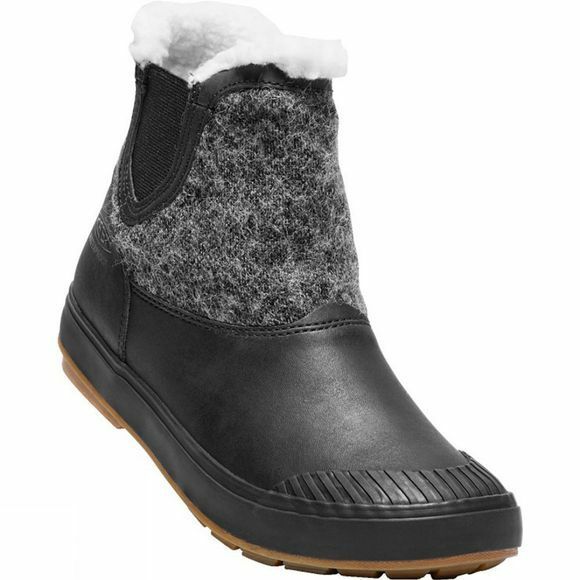 The Womens Elsa Chelsea Waterproof Boot from Keen is part rain protection, part style statement. The seam-sealed waterproof construction keeps your feet dry, and the fresh mix of textures makes this ankle boot inside-appropriate, too. A supersoft lining ups the comfort level.